5 Tabellen, 95 Fotos, davon 86 farbig. 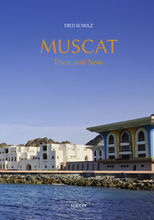 The town of Muscat on the south-eastern edge of the Arabian Penin­sula has a long and chequered history. Omani tradi­tion as well as external influ­ences have given it a parti­cular and plea­sing character. A new page was turned in the 1970s, when the reign of Sultan Qaboos bin Said Al Said started, begin­ning a new era for Oman. A parti­cu­larly striking expres­sion of this new era was the evolu­tion of Muscat from a small coastal town to an archi­tec­tu­rally and struc­tu­rally modern metro­po­litan area. 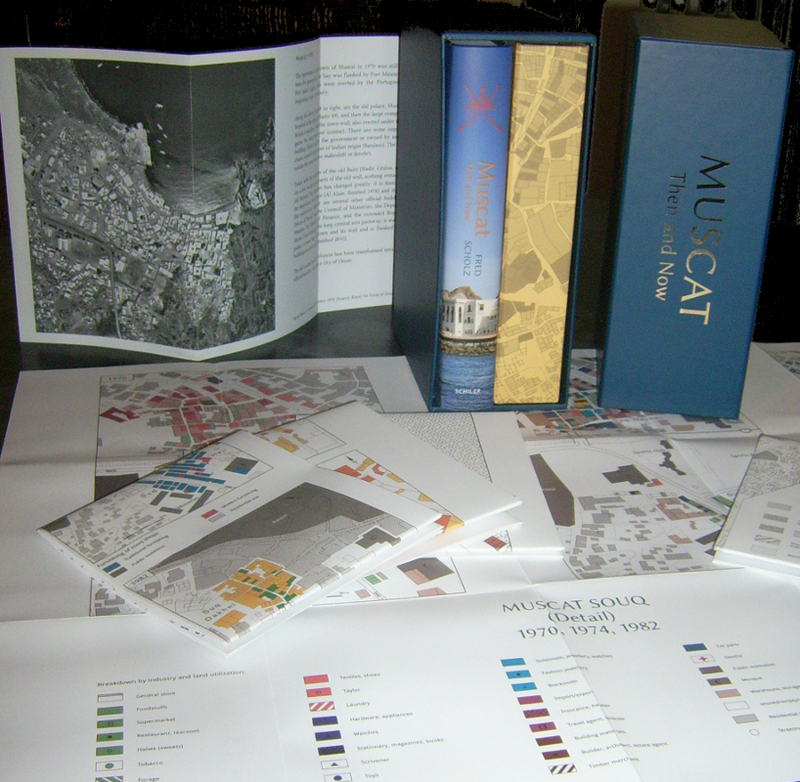 This book provides a history of Muscat's progres­sion through the ages, but it is prima­rily about the impres­sive expan­sion and construc­tion which began in the 1970s and remade Muscat into a city that has preserved and deve­loped an admi­rable unique­ness, despite all its modernity, and unlike its nort­hern cousins such as Dubai, Abu Dhabi, and Doha. Professor Fred Scholz taught Geography at Freie Univer­sität Berlin, Germany. His rese­arch has focused on noma­dism and urba­niza­tion in the process of moder­niza­tion. Regio­nally, he covered Africa as well as Western and Central Asia, with an emphasis on the Arab Gulf States, Pakistan, Bang­la­desh, and Mongolia. Scholz's Oman rese­arch commenced in 1970 and lasted for decades. He and his students conducted inten­sive field studies throug­hout Oman, the results of which have been published in many books and arti­cles. It was Muscat in parti­cular, however, that had captured Scholz's imagi­na­tion since his child­hood, even before he first set foot there forty-five years ago. Thus, this publi­ca­tion is parti­cu­larly close to his heart, and is dedi­cated with gratitude to the citi­zens of Muscat and Oman who gene­rously supported his work throug­hout the years.